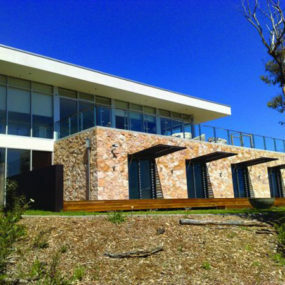 There’s something quite majestic about these beautiful designs and the style they’ll bring to the house or the landscape. 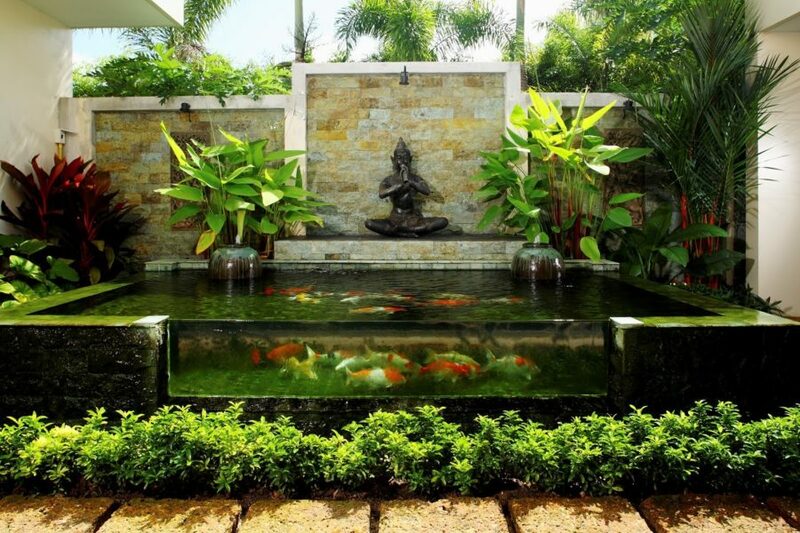 Whether you decide to build them inside as part of the foyer or outside in the backyard, these 20 koi ponds are sure to bring a bit of magic to your home. 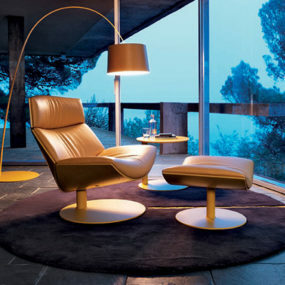 Creating an ethereal, relaxing ethos for the family to enjoy, check out some of our favorites below! Home DSGN starts us off with this beauty. 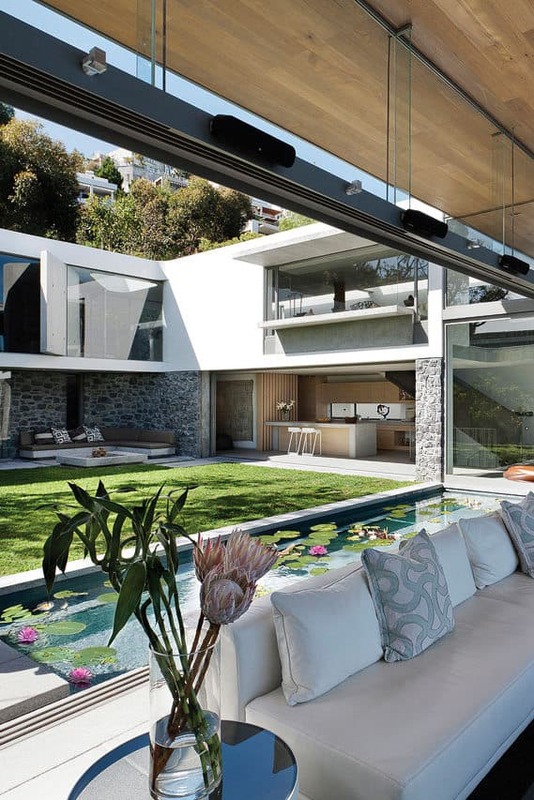 You get the best of both worlds with this luxurious and contemporary design. 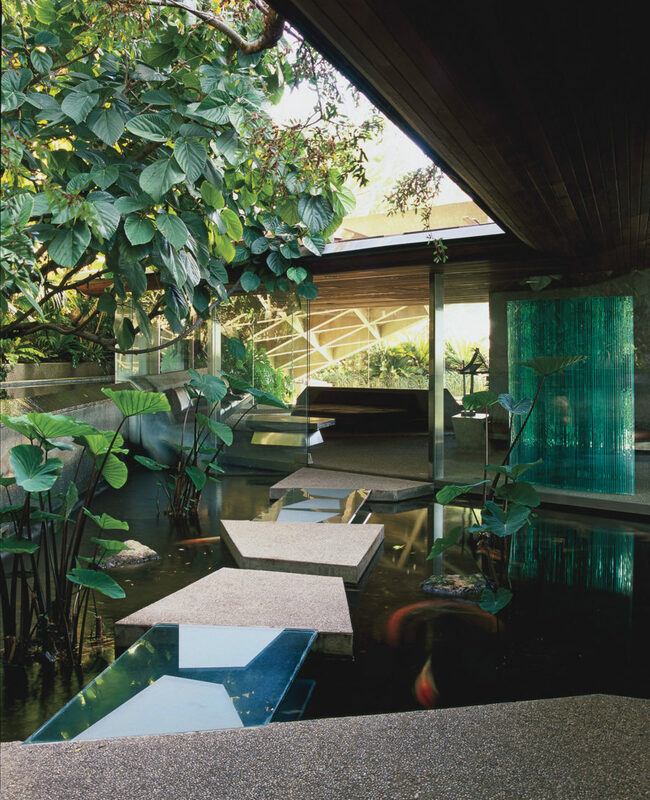 There’s a taste of the outdoors and a taste of the indoors that include a bit of greenery, amber lighting and a walkway too! 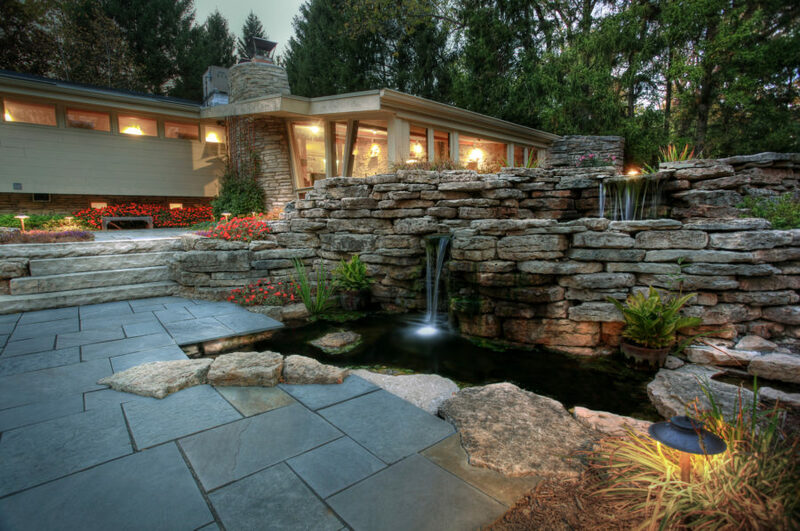 Here’s a gorgeous example of what you backyard could look like one day. 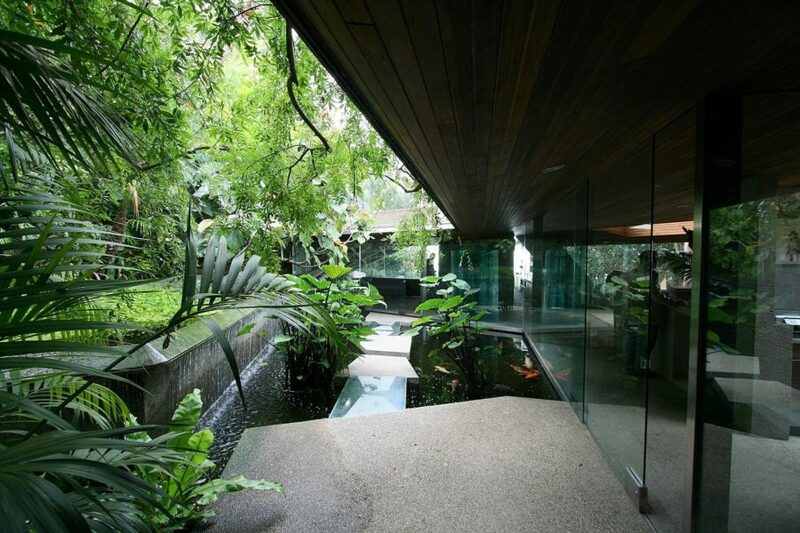 Including waterfalls and koi fish too, this design from House of Plants inspires us. 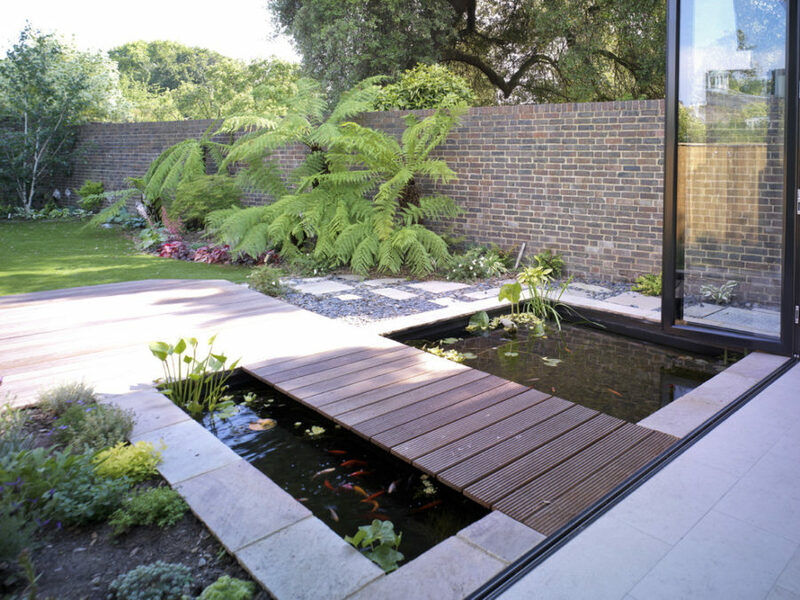 Turn your patio into something a tad more luxurious by grabbing ideas like this! We found this little gem scouring Pinterest and we love how it gets so much natural lighting throughout the day. It’s in the perfect spot to get a “spotlight” put on its natural beauty. 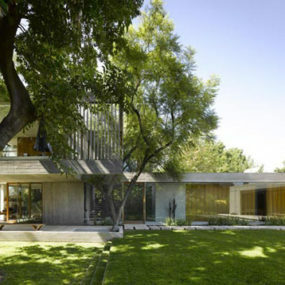 It’s also fashioned around Asian-inspired and zen styling, which is fitting of course. 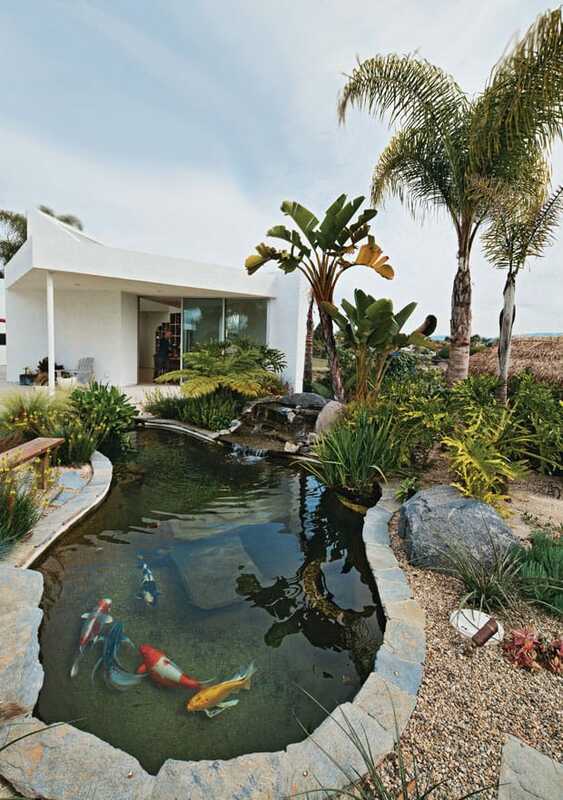 San Diego Magazine showcased this beautiful Southwestern home that includes a koi fish pond in the backyard. This is a bit more of a natural, laidback design which is great for providing inspiration to those that want to create something more welcoming and cozy for their family to enjoy. 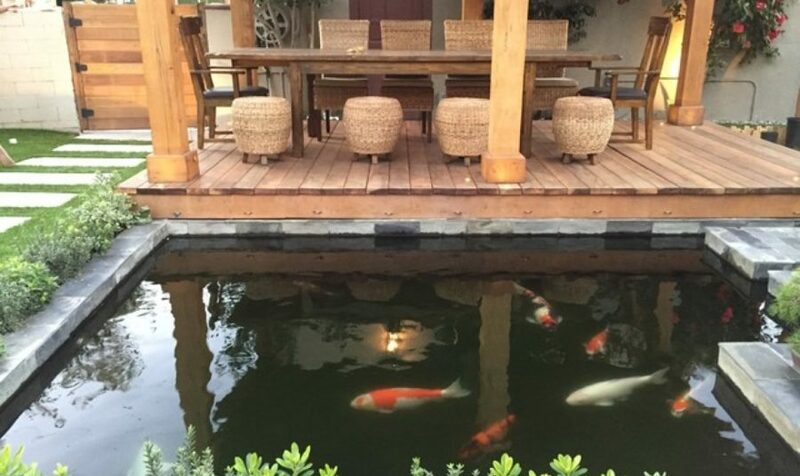 We found this koi pond at DigsDigs and thought it was important to feature a smaller design for those with smaller backyards. It’s chic but it’s also natural. We love the addition of the easy walkway as well making the area even more functional. 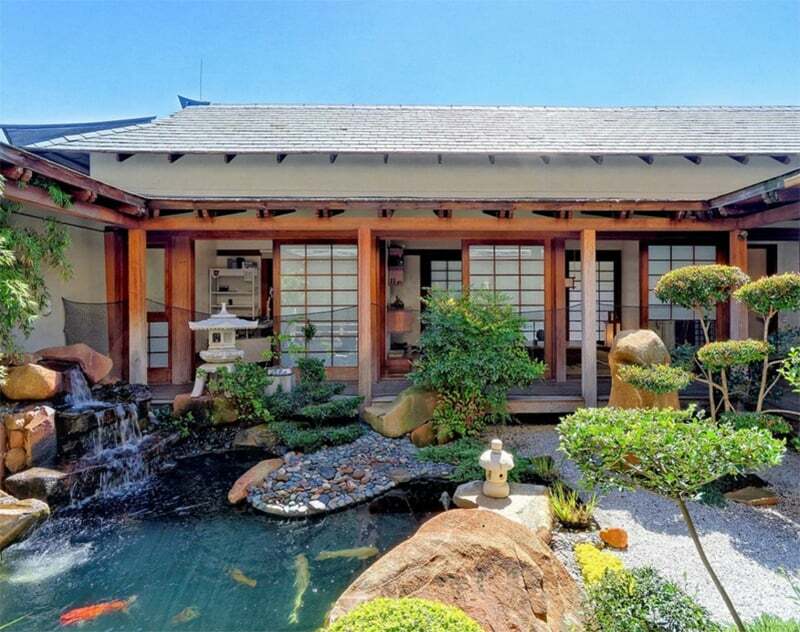 MV Times brought up this extra special koi pond that surrounds the guest house on this extra large and luxurious property. 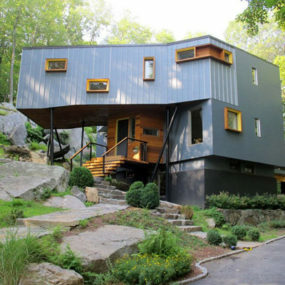 It’s cozy, it’s quaint and it can please not only your guests but the family as well. 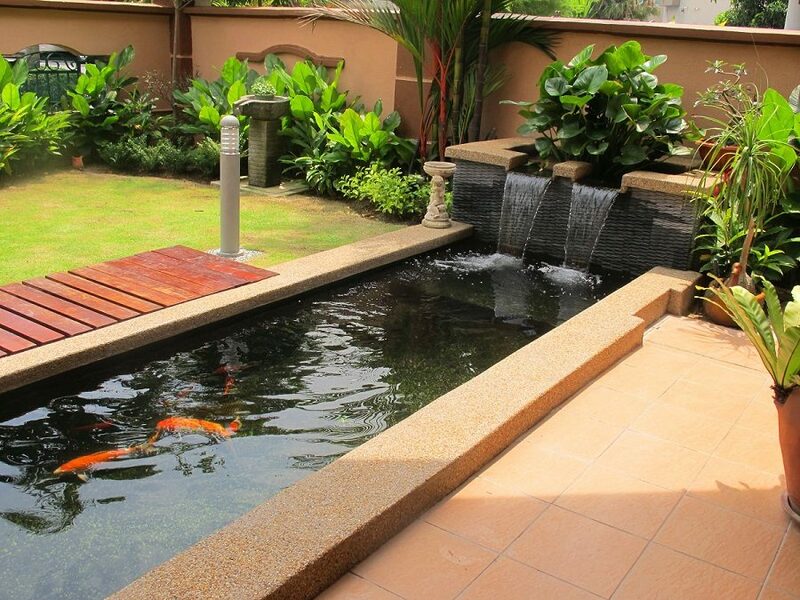 Using it as a means of relaxation when you need to will work wonders, especially with your koi fish there to ease your worries. 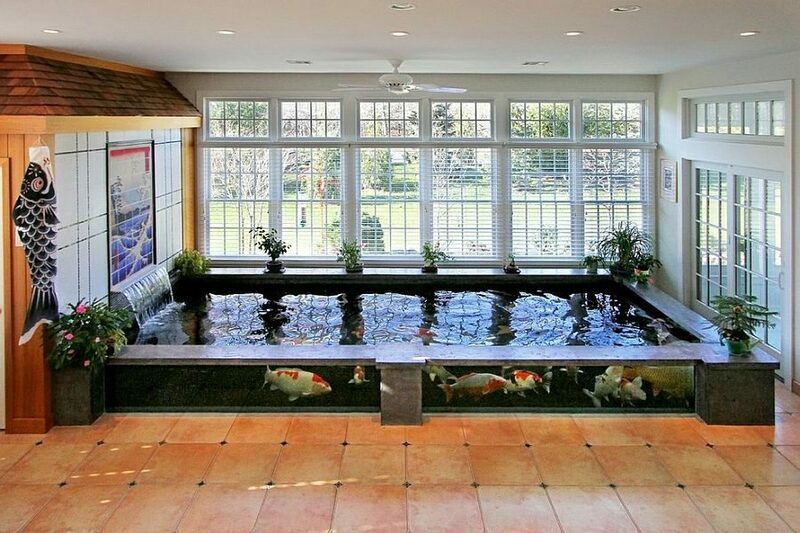 Fresh Palace gives us another great example of a koi fish pond that works well indoors. 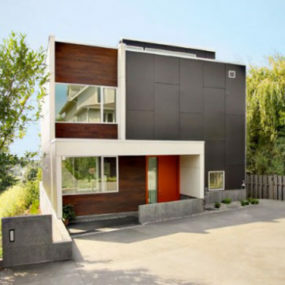 It’s chic, it’s sleek and sits inside a modern, minimalist home with ease and comfort. 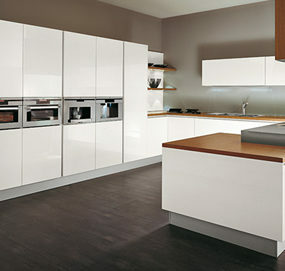 It makes chicer spaces a bit more warm and welcoming, which is always a plus. 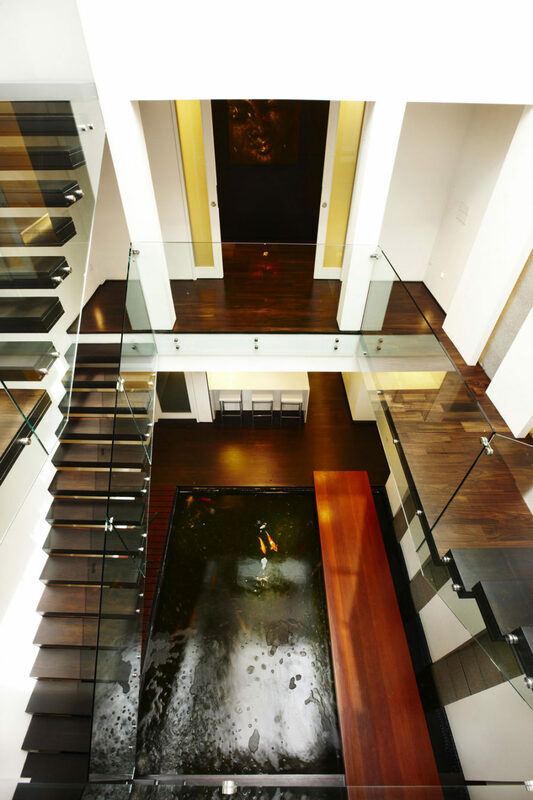 Decoist showcased this design that welcomes guests as soon as they step inside the home. 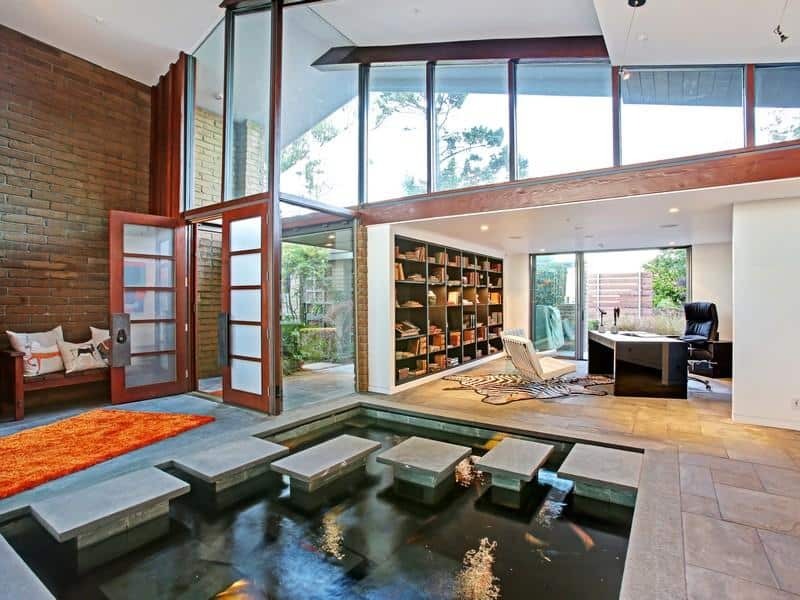 The foyer is the perfect place to install your koi fish pond. And don’t forget the stepping stones to really get to experience it all. 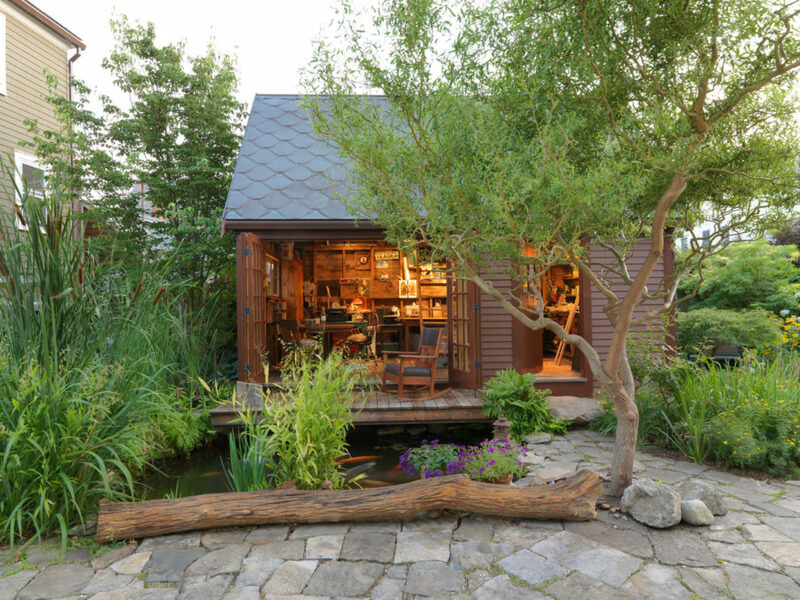 Home Design Lover gave us another great example of how to utilize every inch of your backyard and transform it into something extra special. 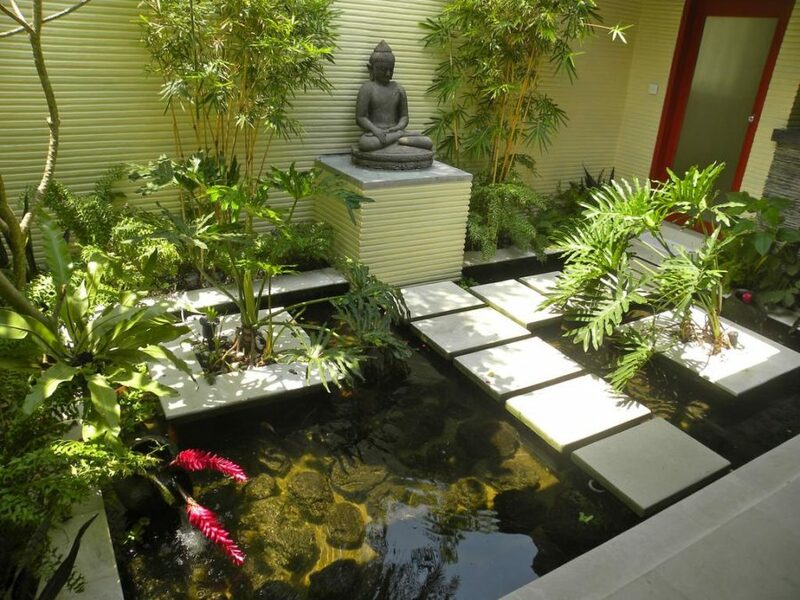 We love this zen garden and we love the waterfall too. 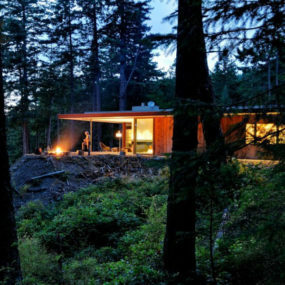 Create something that you can step into anytime you want to gather some peace of mind and enjoy nature a little bit. 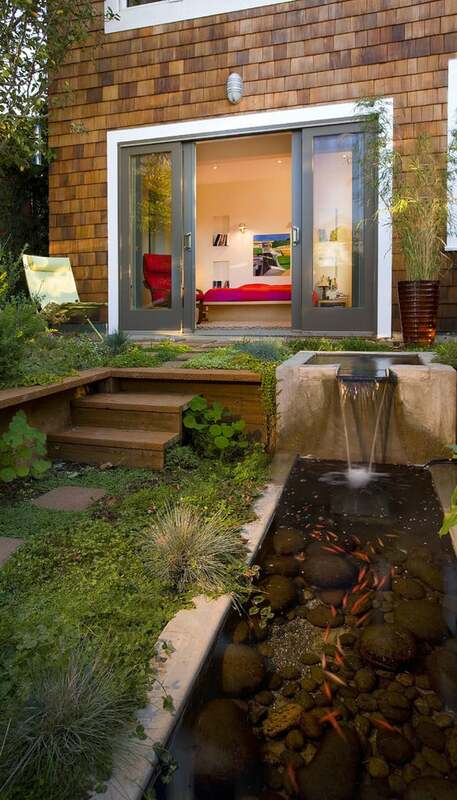 What better way than to make it convenient and right inside your backyard. 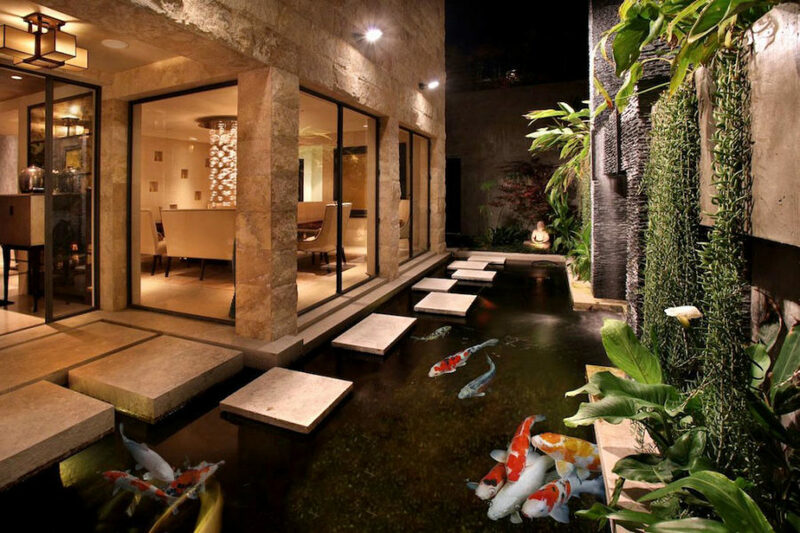 Decoist showcased another above ground koi pond design that we had to feature for those teetering with the idea. 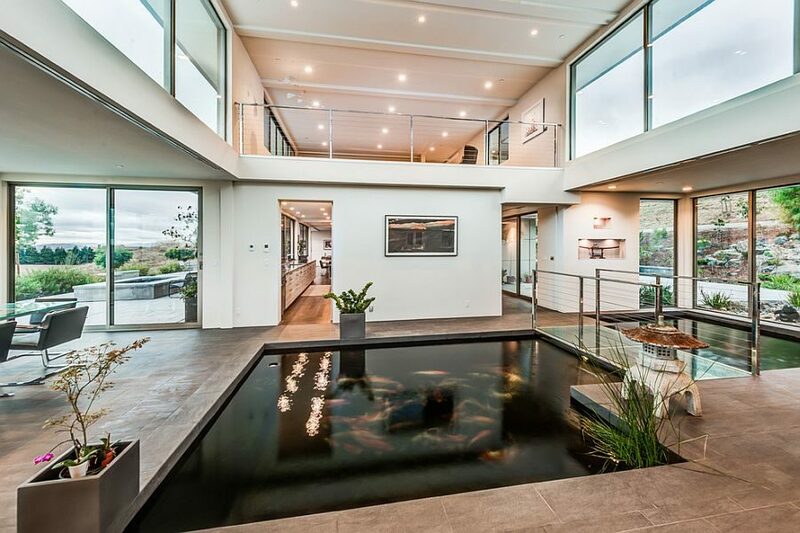 You get a better view of your fish, which is a definite benefit since you’ll be investing so much effort into the new space. 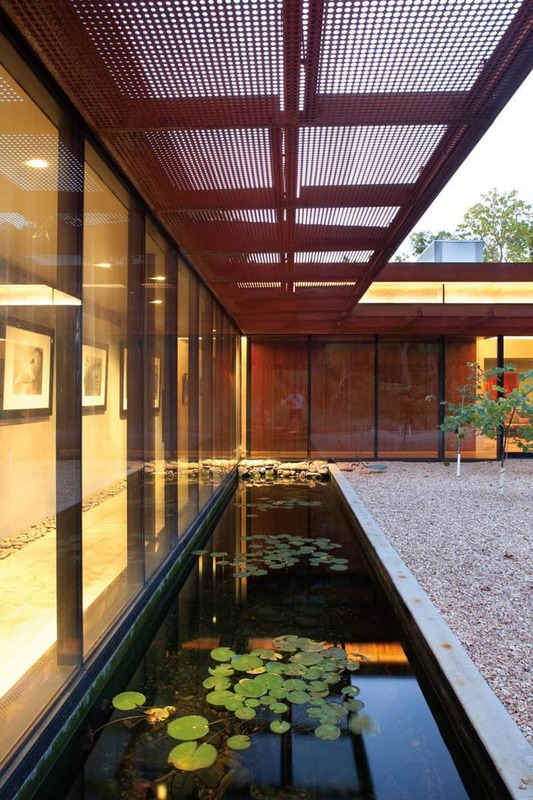 Contemporist featured a sleek, linear koi pond that we absolutely swooned over. 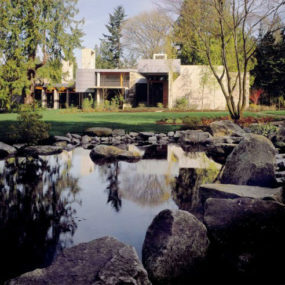 It’s not only a source of relaxation anymore but it’s become an artistic focus to the backyard. 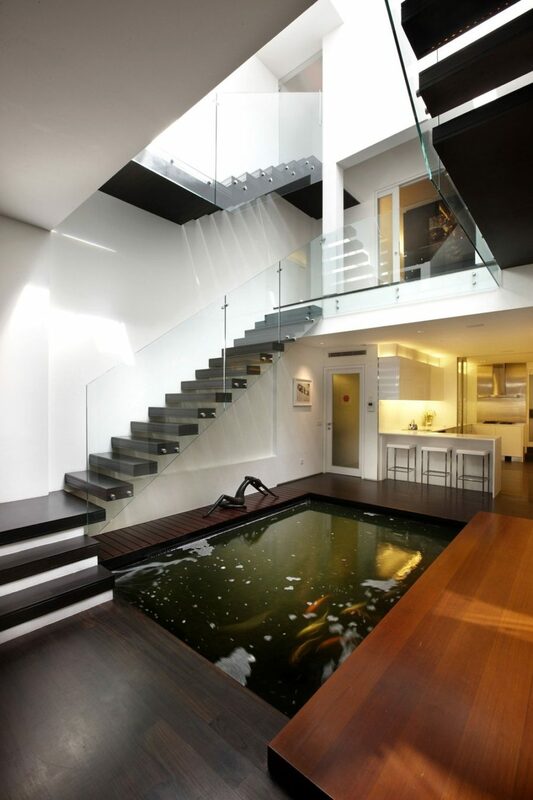 The fish are just an added bonus! Look at all those tiny koi! All you have to do is walk out your back steps and into your personalized garden filled with relaxation and a breath of fresh air (or more than one breath). We found this beauty at DigsDigs and love the extra greenery here too!